BUFORD, Georgia, – In July there many tournament options for teams to choose from. 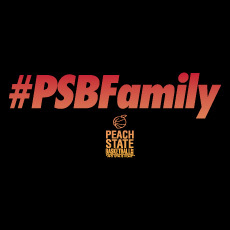 The PSB Elite 32 provided an intimate setting rather than mega-venue with thousands of teams. Match-ups between elite programs with elite prospects drew the college coaches out for the two-day event. Here is a recap of the top performances from the event. Biesbrock is the type of point guard coaches dream to one day have on their team. She has skill, IQ and the heart of a champion. While some may point to her lack of size as a deterrent to future production, there is no evidence of that thus far. The 5-foot-6 guard is not slowed all that much even we she faces the most elite of competition. In a semi-final match-up versus Team Takeover, Biesbrock showed she could drop dimes off the pick and roll and even shake defenders to get her own shot. The Buckeye-state native is a high academic candidate in the classroom. She is currently being very selective in her college choices. Expect her to take her time and fine the right fit at the next level, much like she fines the crease in the defense for the assist. 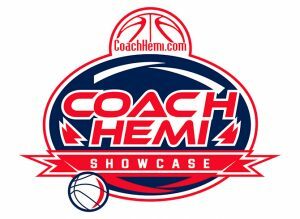 Become a #CoachHemi Featured Player like Biesbrock by attending a Coach Hemi Showcase this Fall. Click below for details! The North Carolina State commit put on a show all weekend long at Bogan Park. She opened the tournament with a 37-point avalanche of buckets. That effort included six 3-pointers, which is one of the left-hander’s specialties. Brown-Turner capped off her travel ball career with a runner in the lane to win the bracket championship in sudden death OT. Currently ranked No. 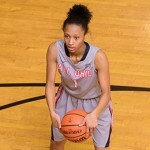 22 nationally in her class, Brown-Turner showed why coach Wes Moore is so excited about her suiting up for the Wolfpack in 2019. If we were to hand out a stock-riser award for the month of July, Elliott would make a big case to be the winner. The 5-11 wing will soon have many of the nation’s top programs recruiting her. She has the length and athleticism to impact in elite settings. This plus her scoring ability makes her one of the best at her position nationally. She proved to be a terrific scorer in the lane while also having enough consistency from the arc to punish sagging defenders. In the championship game match-up versus Team Takeover, she scored 18 points with Maryland head coach Brenda Frese in to watch. Gaines is an ATHLETE! She is one of the best athletes we have seen come through Peach State Basketball events in the past decade. She is strong, fast and can jump as well as anyone. The intriguing part of Gaines’ game is the fact that she is evolving past just being a superior athlete than her competitors. She is showing touch on her jumpshot and even some craftiness when putting the ball on the floor. She currently has the attention of coaches in the SEC, ACC and BIG XII conferences. Konig is growing into her own as a prospect. Although listed at 5-7, she has a wingspan and a frame that give the feel of a guard even taller. 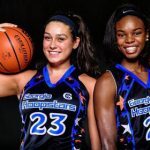 Her broad shoulders add in to the mindset that she will develop into the type of athlete like her older sister, Ace, who enters her junior year at NC State. At the moment, ‘Mac’ shows all the dribble moves that she has been trained to do in years past. 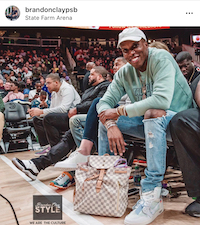 She showed an increased awareness of how to involve her teammates off the side pick and roll action. Her talent is notable for a prospect heading into her freshman year of high school. To be successful in the Southeastern Conference, you better have size, athleticism and a skill specialty to impact. Perry checks those boxes as a combo-forward who is committed to play for coach Terri Flournoy at Auburn University. 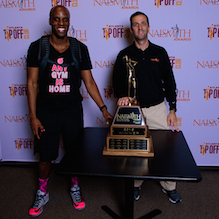 Perry was the most consistent performer for coach Jay-Bee Bethea’s group over the seven days of evaluation period. Perry’s specialty of shooting the ball should give the Lady Tigers a floor spacer around the play-makers that they already have in-tow. 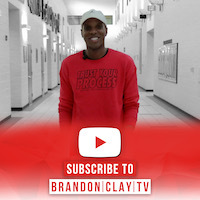 It is not often that you see a prospect who has not even stepped onto a high school campus become an instant factor on a court with future McDonald’s All-Americans. Petticord did exactly that in a Friday night match-up versus Team Takeover EYBL. Coach Jeff Taylor implored the 5-8 lead guard to attack and not be afraid to score. Petticord had moments where it looked as if the game was a bit too fast for her. 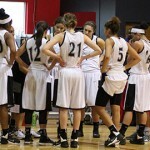 However, in the game’s waning seconds she hit a step back 3-pointer to send her Storm team into overtime. 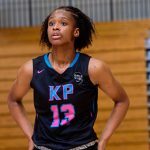 While it is much too soon to be ranking 2022 prospects, Petticord is certainly on our watch-list for her class. Reese is a top ten player nationally for a reason. She is a 6-3 forward that has face-up skills away from the basket. During the two-day showcase, Reese showed she was comfortable leading the fast break and even attacking the defense in the half court set. 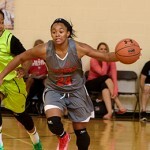 At the next level she projects as a 4-player given her athleticism and versatility. However, a creative coach could utilize her as a small ball 5 who can take advantage of slow footed interior defenders. 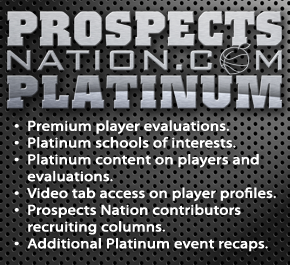 Assistant coaches from Baylor, South Carolina, Texas and Virginia were into see Reese. Maryland head coach Brenda Frese was also front and center to watch her. On a team full of skill and deep range shooters, Wadsworth was one of the best in the gym. She has a high release from the arc and has the physical size to play multiple positions around the perimeter. She is on a trajectory for even bigger things as she develops physically and rounds out the other parts of her game. Class of 2021 forward Arianna Smith of Columbus, Ohio, showed her ability to rebound during the two-day event. She is a player with a great frame and the strength to finish on the interior. She plays for All Ohio So. Lavender. 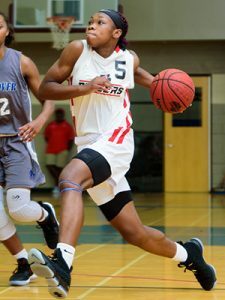 Class of 2021 guard Deja Rakestraw of Woodstock, Georgia, is a player on the rise. While playing for Team Elite Bell 2021, she showed her play-making and athleticism. She stands at 5-9 and has the ball skill to lead her team on the break. Class of 2021 guard Jeila Greenlee of Johnson City, Tennessee, got on our watch-list while playing with Disciples Basketball Club. She is a point guard with a saucy handle. Dream Big Elite is a new team on our circuit and an organization we expect to grow. Class of 2019 point guard Bria Neal of Laplace, Louisiana, led her squad as a point with her fundamentals and shot-making abilities. Class of 2022 wing Kimaya Williams of Highland Springs, Virginia, is a prospect with size and athleticism for HoopNation. She was one of the best this weekend at attacking the basket in transition. Standing 5-10 tall, she has the size and athleticism that could blossom into a next level player. Class of 2019 forward Obianuju Ezedu of Reynoldsburg, Ohio, is a rebounding specialist for All Ohio Black EYBL. Her energy and strength give her the ability to make plays consistently. Class of 2020 wing Jordyn Williams of Little Rock, Arkansas, looks to be a prospect on the rise with the Arkansas ICE organization. She has versatility and tools to develop.